Moments earlier, she overheard me on the phone asking my 10-year-old son how many tubes of sunscreen he went through last Summer and if he needed a new fan this year. She asked where we were headed, which, based on the overflowing nature of my shopping cart, I understood. I laughed, telling her it wasn’t “we” – it was “he.” He was going to sleepaway camp for the Summer and I was trying to get a head start on packing. That, of course, led to questions about how long and where and why. To which I answered, seven weeks, five hours away, and because we love him and want him to experience all that camp has to offer. That’s when she made her comment. I decided it wasn’t worth any more discussion – I had my reasons and didn’t need to explain them to a stranger – but it did get me thinking. Why do we ship our children away for the Summer? Both my husband and I went away to camp when we were kids, me for four weeks each Summer and him for eight. Ask us, or really any other kid who did so, and they’ll probably tell you those were the happiest days of their childhoods. We can still sing the songs, tell color war stories until your ears fall off, recall first crushes … and first kisses, and remember the distinct smell of the dining hall and the slimy bottoms of the lakes. These are the lessons I want my sons to learn – once both are old enough to go (my youngest is still too young). Being away from home is a time to learn about yourself outside of the comforts and security of home. It’s a time to learn to bask in the uncertainty of what comes next or who will be sleeping in the bed next to you. In this age of connectivity, where there’s always a phone, computer, or tablet in sight, it’s a forced break from that. 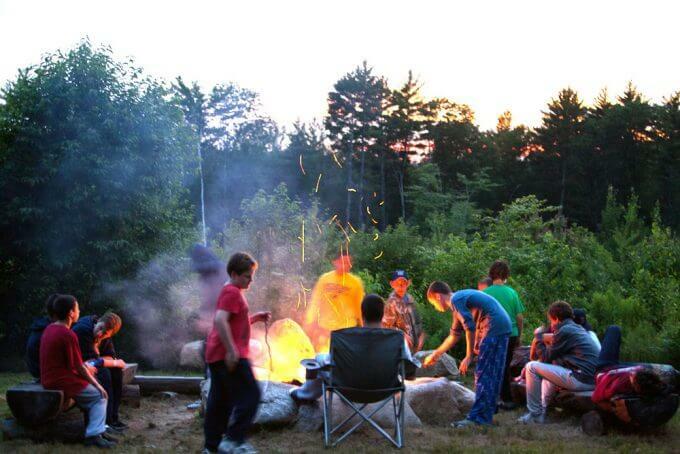 My son’s camp does not allow any electronics and I couldn’t be more grateful. 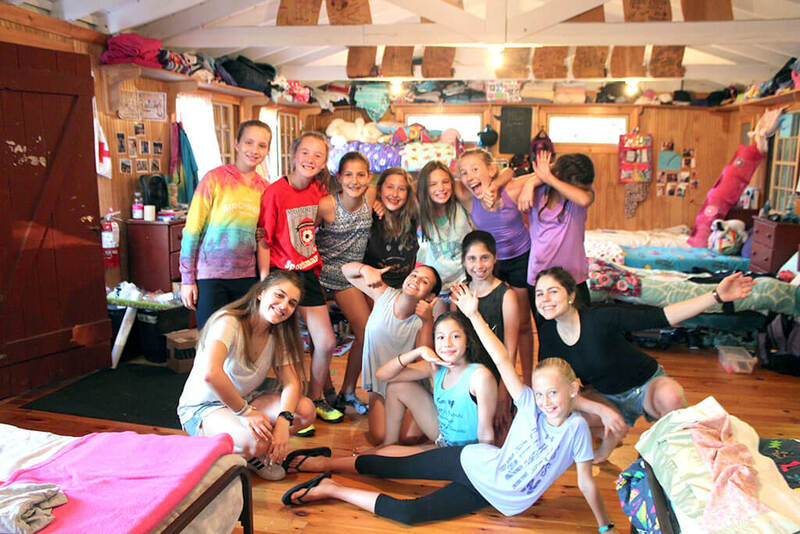 Camp is a time to re-create the carefree days of childhood that my kids’ grandparents – and even their great-grandparents – experienced all those years ago. As city dwellers, it’s also a chance for my kids to experience nature – not at a museum or a park surrounded by buildings, but nature in its natural state. Last year, my oldest went off to camp for the first time. He didn’t know a soul. He sat on the bus with a boy he had met a few minutes earlier and a few days later I got a letter from him that he was loving it. He had already gone camping, canoeing, and water skiing – three things he’d never done in his life. He was playing street hockey and tennis and eating s’mores each night. And the kid I had to drag out of bed each morning for school had joined a Polar Bear club where they jump in the lake first thing every morning. In the matter of three days, he was already making memories. Five weeks later, he was begging us to extend his Summer to the full seven weeks away. We told him we thought he’d had enough for his first Summer, but would gladly do it for the next. Right now, he’s counting down the days on his calendar. In shipping my kid away for the Summer, I’m giving him something special, whether he knows it or not right now. Just a few weeks ago, we were having one of our frequent arguments about something trivial. He suddenly blurted out that the reason I send him to camp is to “get rid of him for the Summer.” And while in that moment it may have rung true, I told him that wasn’t the case at all – that camp is hardly punishment; it’s a privilege and he’s very lucky to be able to go, that I would never spend the money I do on a camp if it was punishment.